Very flexible and light weight. 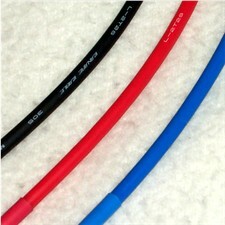 This is a real 18 gauge instrument cable that stays flexible even in Sub zero weather. Oxygen Free copper concuctor and shield with reduced microphonic noise handling and low capacitance & resistance. Buy it "By The Foot".